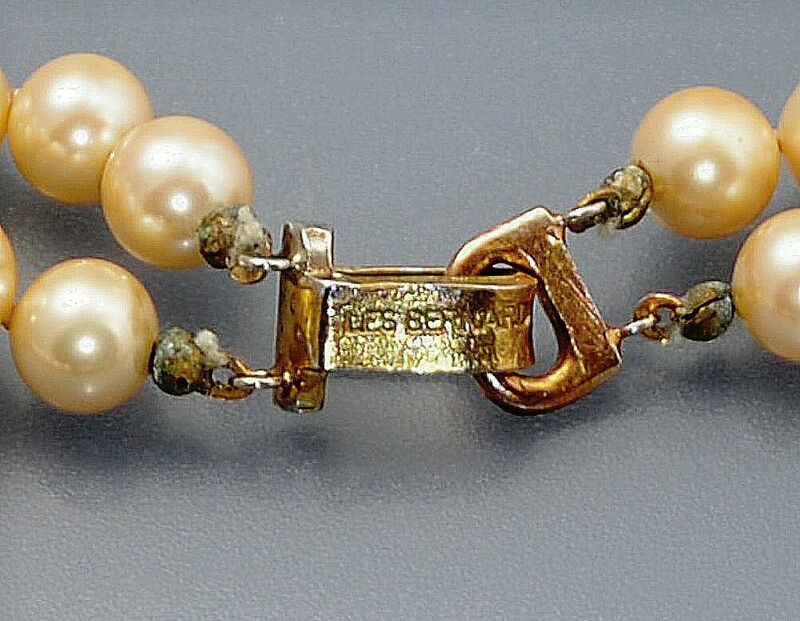 This lovely pearl gilt metal and paste necklace is by Les Bernard the American jewellery designer and manufacture. 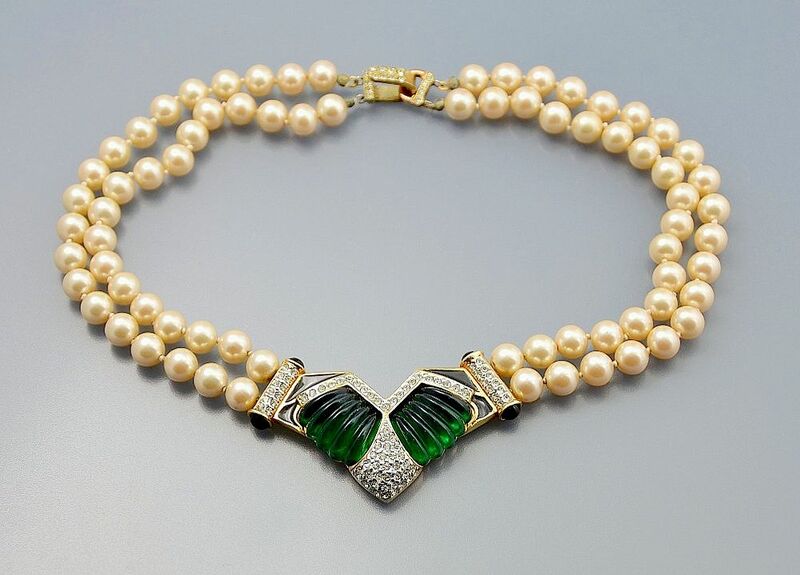 probably made in the 1950s-60s, the centre section of this collar style necklace is a stylised V shaped Art Deco style section in gilt metal set with white paste and moulded ridged deep green clear resin. there is a white paste set round tubes the end s of which are set with black resin cabochons. Two rows of faux cream pearls lead to a gilt metal hook and D shaped ring fastening both set with white paste. Signed. A wonderful piece made in the classic fine jewellery style.